AMERICAN car manufacturer Ford today confirmed that nearly 400 jobs will be lost at its engine manufacturing plant in Bridgend. The company says the ‘voluntary separation programme’ at the Welsh factory is needed to cut costs and create a ‘sustainably profitable business’ in Europe. The brand has already announced a major reshuffle of its European operations, entering into an alliance with the Volkswagen Group and planning on reducing ‘surplus labour’. It’s needed, too – Ford of Europe made a loss of £192m in the third quarter of 2018-19. A Ford spokesperson said the figure of 400 job losses was unconfirmed but ‘in the ballpark’. 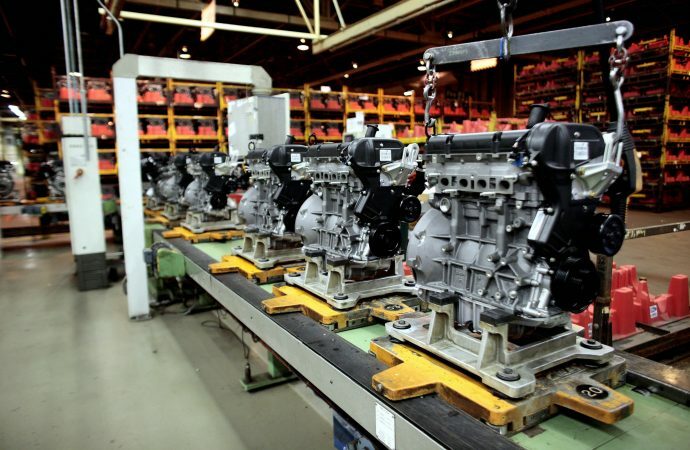 In a statement, the company said: ‘Ford is introducing a voluntary separation programme for hourly and salaried employees at its Bridgend engine plant in south Wales as part of its ongoing actions to create a sustainably profitable business in Europe. Employees who apply for the programme will begin to leave the company from the third quarter of 2019. The drop in production at the factory is understood to be down to uncertainty surrounding Brexit as well as a rise in the popularity of electric powertrains. 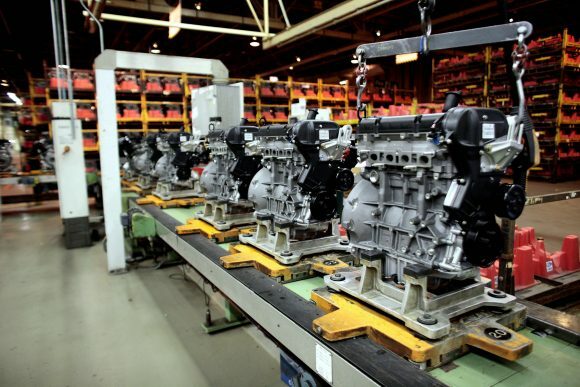 Although the Bridgend plant is due to receive investment to the tune of £100 million to build a new generation of petrol engines, the overall workload is expected to reduce. Ford is also undergoing a major reshuffle of its model line-up, cutting unprofitable vehicles such as the C-Max compact MPV and ramping up production of its SUVs. Indeed, in the US, the brand has axed every one of its passenger cars besides the Mustang, offering only SUVs and pickup trucks. Len McCluskey, head of the union Unite, which represents Ford’s workers at Bridgend, partially blamed Brexit for the job losses. He said: ‘Brexit is clearly a factor here. So I appeal again to the Westminster government and Theresa May to make it categorically clear without delay that there will be tariff-free access to the single market and customs union, because the uncertainty the UK’s automotive sector is enduring is having damaging real-life consequences now, before talks have even begun.